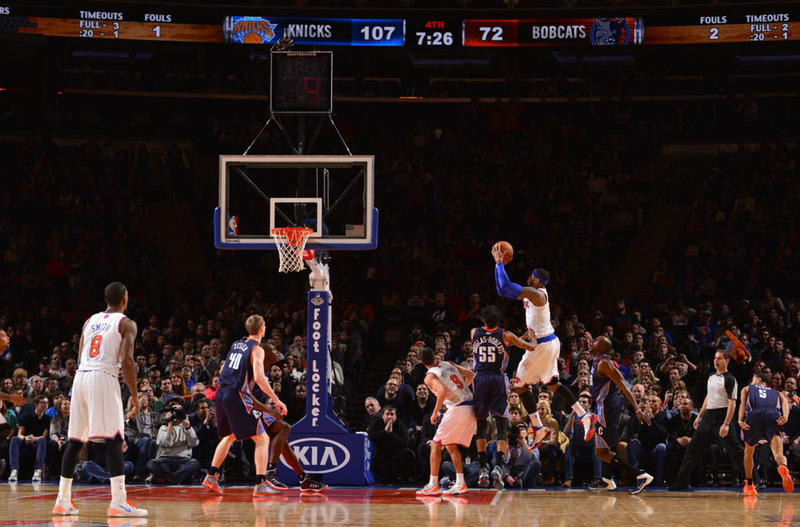 For his historic performance, Melo laced up the 'Knicks' colorway of his brand new Jordan Melo M10 signature shoe. 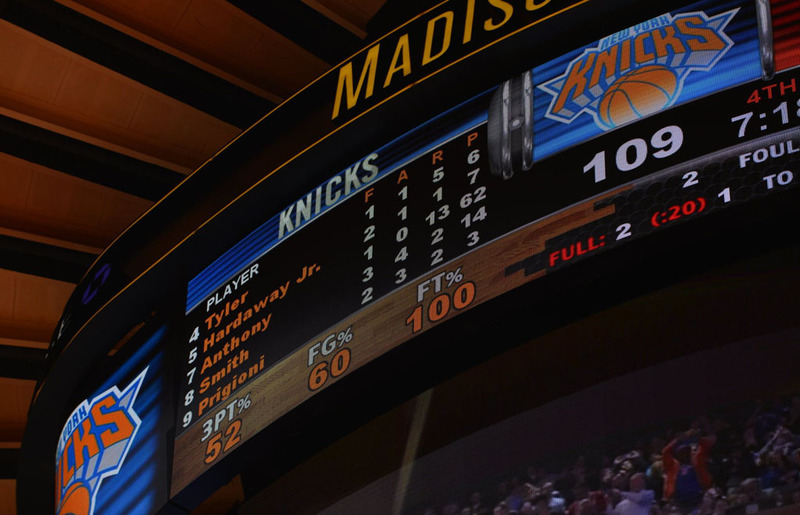 As time winded down in the first half, Carmelo Anthony heaved a shot from half-court and there wasn't a doubt in the building that it was going in. 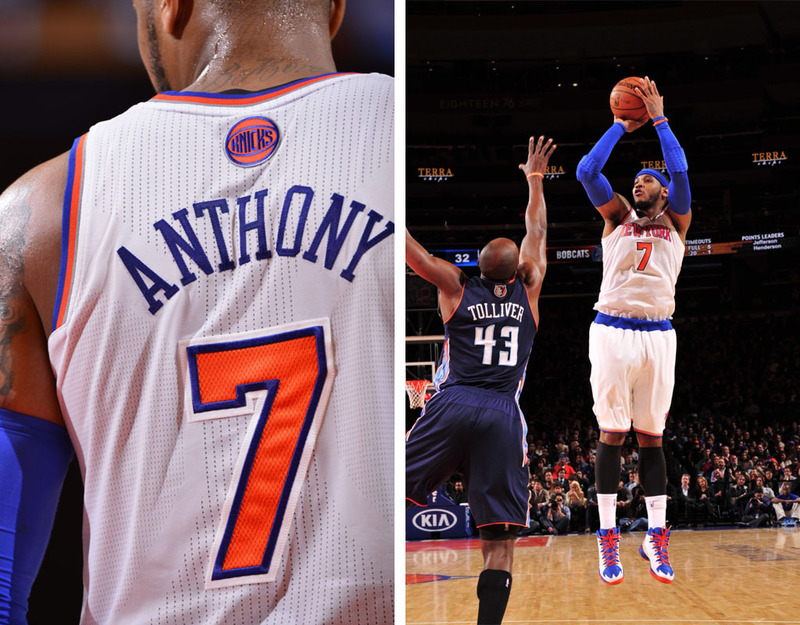 The shot capped off a 37-point half that was only the beginning of Anthony's historic night at Madison Square Garden. With 19 more points in the third quarter, he passed Kevin Durant's NBA season-high of 54. Next up, Bernard King's Knicks record of 60 set in 1984. Then, after banking in a short jumper midway through the final frame, Melo hit 62 and erased Kobe Bryant's old MSG record. "I made history tonight, with the performance, but just to be a part of that group of people, like I said, there's only a small group of people that knows what that zone feels like and tonight I was one of them," Anthony told ESPN. Anthony's 62 was efficient. He hit 23-of-35 field goals and was a perfect 10-of-10 from the free throw line. 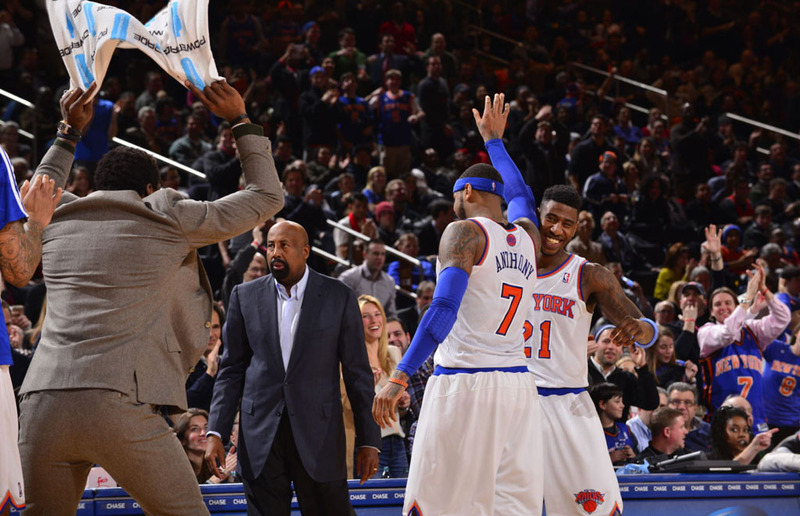 70 was in play, but with the game out of reach, coach Mike Woodson sat his superstar with 7:24 left to play. 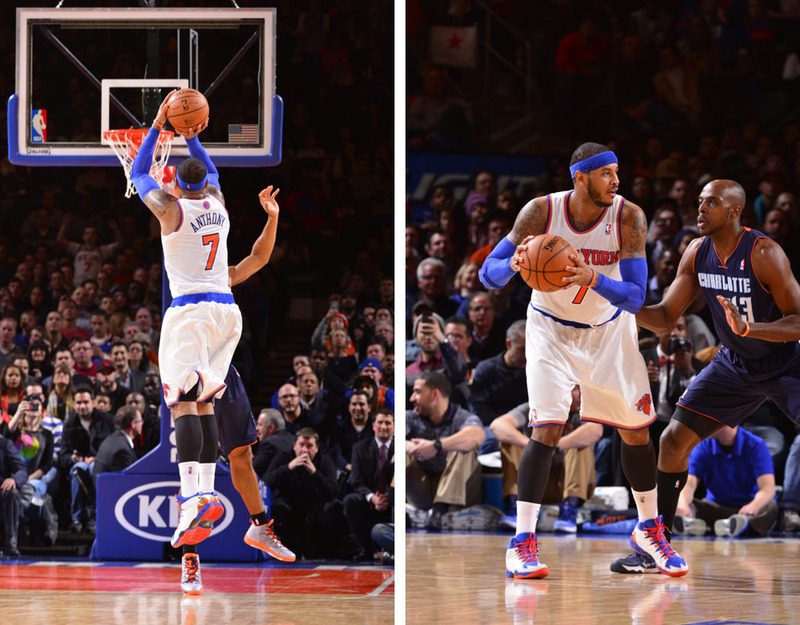 For his historic performance, Melo laced up the 'Knicks' colorway of his brand new Jordan Melo M10 signature shoe. If the Jordan Brand didn't plan on releasing this colorway, they kinda have to now, don't they? The launch colorway is available now. 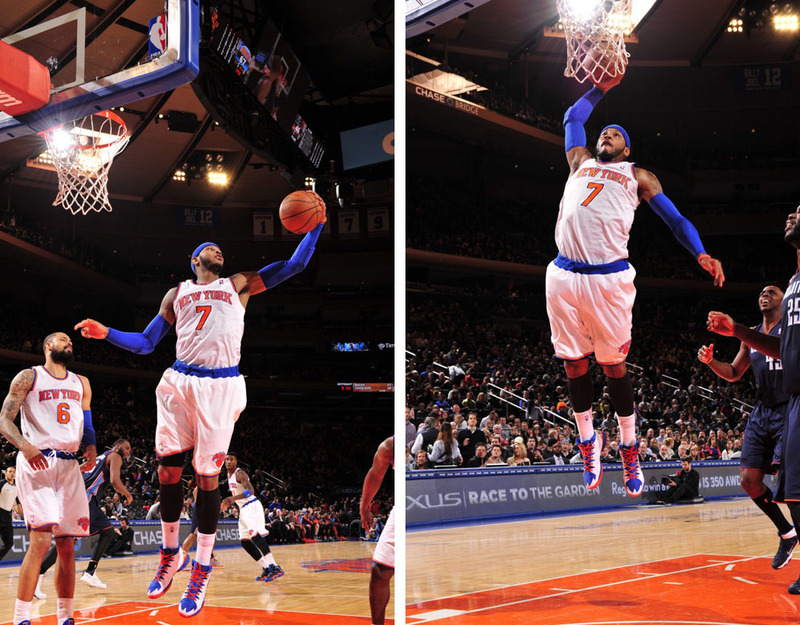 View all of Melo's record-breaking field goals in the video above and a few shots from the game below.